Borussia Dortmund midfielder Shinji Kagawa is confident he will be fit in time for the start of the new Bundesliga campaign after dislocating his left shoulder on international duty with Japan. The 28-year-old fell awkwardly in the Samurai Blue's 1-1 friendly draw with Syria on 7 June, and has spent the last few weeks recovering in his native Japan. 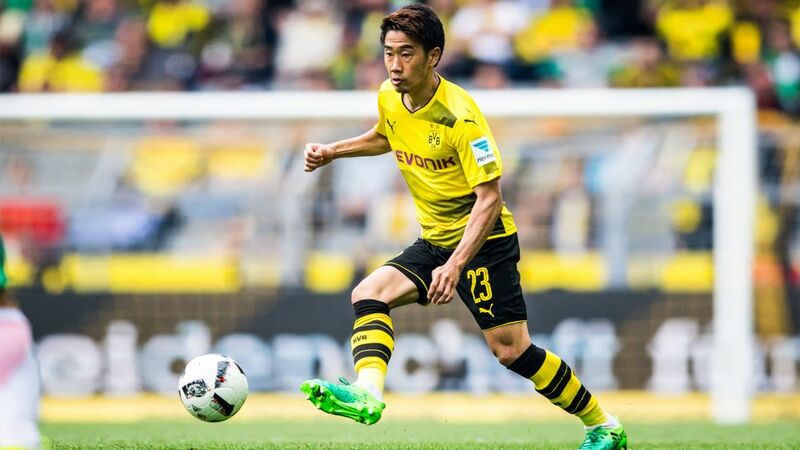 "I want to rehab properly," said Kagawa, who is expected to join up with Dortmund for their Asian summer tour in July. "But it's no issue for next season." Dortmund face reigning Bundesliga champions Bayern Munich in the season-opening Supercup on 5 August, before beginning the defence of their DFB Cup title away to minnows Rielasingen six days later. The following weekend marks the hotly anticipated launch of the 2017/18 Bundesliga campaign - the fixtures for which will be released on 29 June (12:00CEST).